Please note that by Cashing Out during a reload bonus promotion period, you will not be permitted to avail of that reload promotion. Cashing out of your Superpoker account is fast and easy. For the most part, the method you funded your Superpoker Account by, will determine your withdrawal options. Superpoker reserves the right to refund winnings to any payment method you have used to deposit with up to the total amount you deposited, in accordance with international banking regulations. Withdrawals can be issued via check or the e-wallet solution of your choice. Checks are generally delivered within 10 to 15 business days and cash-outs to e-wallets are typically completed in 24-48 hours. Please note that our Cashier Team will require identification and proof of ownership of the credit/debit card used to fund your account in order to process a check to you. Checks will be issued to the address on record at the time each cash out is processed and a correct phone number must be associated with your account for all courier deliveries. All customers are entitled to one FREE check withdrawal per calendar month. All subsequent checks requested within the calendar month will carry a $35 fee which will be deducted from the amount requested. For e-wallets the minimum cash out amount is $50 and the maximum will vary depending on the e-wallet solution. For check withdrawals the minimum cash-out is $500 and the maximum is $9,000. All checks are delivered by courier and typically take 10 to 15 business days to arrive. While no fees are charged by Superpoker on your e-wallet solution cash-outs, we suggest contacting your processor directly regarding any associated fees on their end. The minimum cash out amount is $50 and the maximum will vary depending on the e-wallet solution. Cash-outs to e-wallets are typically completed in 24-48 hours. 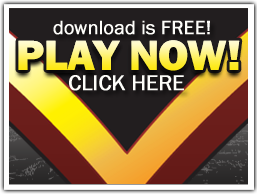 If you have any questions regarding the cash out process please email support@superpoker.com. Customer inquiries will be addressed promptly and professionally by our Customer Service Team available to you 24 hours, 7 days a week.